Professor Jonathan Morrison holds the chair of Experimental Fluid Mechanics in the Department of Aeronautics at Imperial College. He received his and PhD from the University of Durham and became a member of faculty at Imperial College in 1991. His recent work has focussed fundamentals of wall turbulence including coherent structures and their relation to changes in imposed length-scale, energy transfer and pressure fluctuations. Novel approaches to flow control involve Electro-Active Polymers (EAP) both as actuators (GR/S20994, PI), and as surface-pressure sensors (EP/C535847, PI), including ink-jet printing techniques (EP/F004435, PI). Travelling surface waves for drag reduction are being developed with support from Airbus, QinetiQ and EADS-IW. Novel algorithms have been formulated (EP/E017304, CI) for real-time feedback control using wall-based sensing and actuation. High-frequency pulsed jets are being used for the control of separated flows with support from Ferrari S.p.A., EPSRC (EP/I005684, PI) and Imperial Innovations. Recent work involves fundamental studies of the effects of large roughness on turbulent channel flow (EP/D037166, PI) and turbulent boundary layers (EP/I037938, PI) and instabilities as part of the LFC-UK Programme Grant (EP/ I037946, CI). Previously, he has been Visiting Fellow at MAE, Princeton University. In 2006, he chaired the Scientific Committee for the IUTAM Symposium, Flow Control and MEMS in 2006. He is currently a member of the Aircraft of the Future Specialist Advisory Group of the ATI. 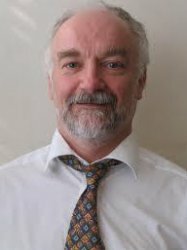 He is Director of and chairs the Management Board of the National Wind Tunnel Facility, http://www.nwtf.ac.uk/html/index.html, funded by EPSRC and the ATI. He led an exhibit at the Royal Society Summer Exhibition, 2014 "Smart Wing Design: Science Imitating Nature".